Your dog can experience severe anxiety just like we do. It can be caused by various factors that are manifested in fears of loud sounds or noises, abandonment, new objects, new people, traveling and so forth. 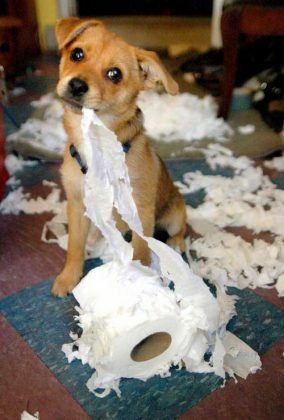 Dogs are vulnerable to any stressed setting both emotionally and physically, and this can lead to many misbehaviors. Anxiety can be articulated in various behaviors like barking, deficating, unrinating, chewing and destroying property or simply getting aggressive sudden behavior. Anxiety should’t be ignored. If left untreated, the symptoms will worsen and possibly endanger your dog’s life. A Healthy diet is a basic and the best treatment for the general health of your dog. A healthy diet can certainly prevent or minimize the dog anxiety symptoms. It’s a very basic treatment as you can apply on the daily basis without special tools needed. You can consult your vet first, but a common diet proportion should be high protein and low carbohydrate. This is why some countries have obligated their citizens to regularly take their dogs walking. 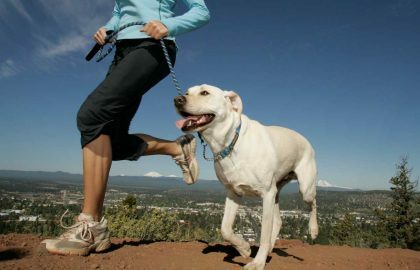 Physical activities and quality time you spent with your dogs will make them relieved from potential anxiety factors especially their emotion. There are various activities can be done besides walking, such as capture game, hide and seek, swimming, and so forth, choose one that comforts you both. It’s quite surprising that dog has the same treatment as a human to maintain a relaxing state. A massaging will do a great work to calm your dogs and keep them away from various anxiety causes. It will relax your dog’s body and mind, just like the human. You can certainly learn how to properly massage your dog or simply call the therapist to do it. A cuddling time is a perfect moment you can provide massaging while your dog’s relaxing. A distorted schedule and environment are two of the best causes of anxiety. Any changes on daily routine can make your dog confuse or worse, anxious. So, it’s suggested for you to create a structured environment where the fixed schedule determines when they should sleep, eat, play, cuddle, and so forth. This will help your dogs to maintain their anxiety and discomfort. However, this step requires commitment and consistency or it will cause another problem. CBD Oil Supplements have been used for suppressing anxiety in people for years. Now it can be available for use with dogs! Cannabidiol (CBD) is a natural compound of the hemp plant and has been gaining popularity lately because of it’s huge health benefits and non-psychoactive properties (it will not get you “high”). This is a new natural remedy for pets to help calm them and ease their anxiety. 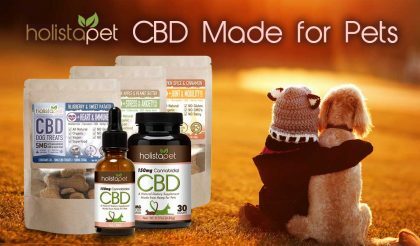 Try HolistaPet CBD Oil today and see for yourself. 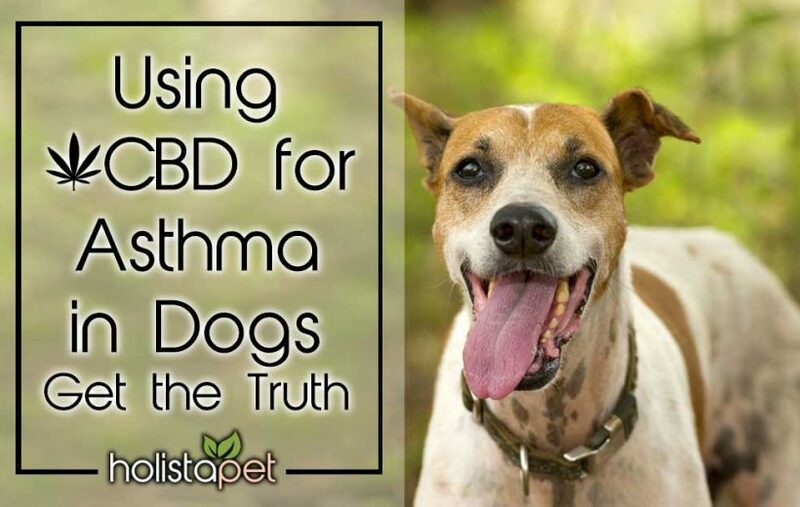 Read our customer reviews on CBD Dog Treats, CBD Tinctures & CBD Capsules today. It’s important to recognize the symptoms of anxiety earlier so you can decide a proper treatment. Try these easy ways to treat the anxiety of your dog. A stressful environment can be harmful to your dog’s emotions, it can be the entry door for a destructive anxiety problem. 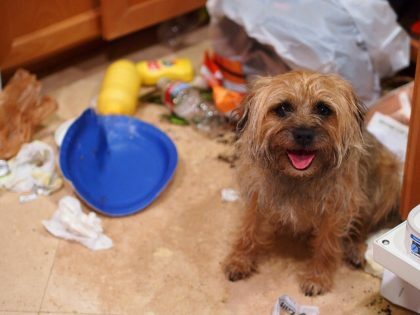 When your dog is anxious and manifesting worrying behaviors, then you try these suggested ways how to deal with dog anxiety.